Children display noticeable impairment in cognitive function and motor skills when two percent or more of body weight is lost due to dehydration. Children aged 7 to 9 consistently performed better on tasks of visual attention and memory when drinking six to 13 ounces of water before a test. Children are at greater risk of dehydration than adults due to their lower body weight,smaller reserve of body fluids, and higher surface-to-mass ratio. 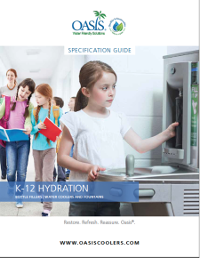 GET A FREE CUSTOMIZED HYDRATION PLAN FOR YOUR SCHOOL! 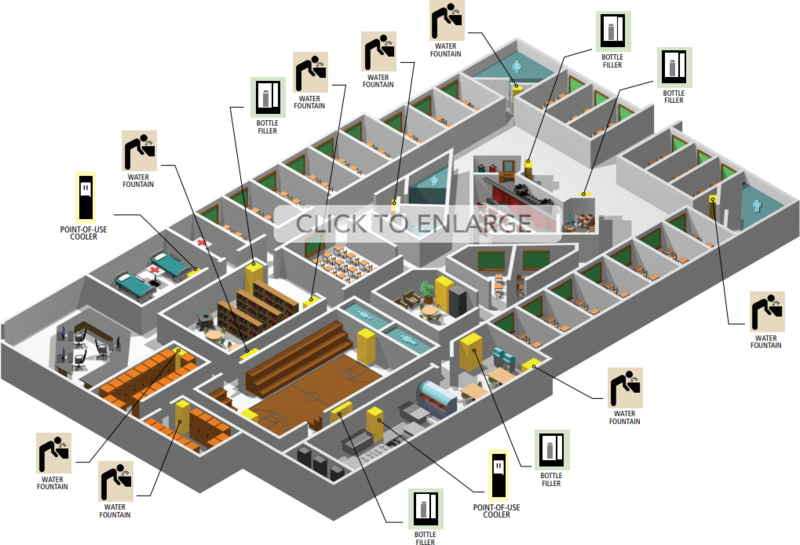 With our exclusive Total Facility Analysis, a team of Oasis specialists takes a holistic, 360-degree view that tells you precisely where and how drinking fountains, water coolers, water fountains, sports bottle filling stations and other water bottle fillers and hydration stations needs to be postioned to maximize hydration while minimizing costs. WORRIED ABOUT LEAD AND CONTAMINANTS? So are we. According to a study in the journal Pediatrics, 1.2 million kids in the U.S. suffer from lead poisoning. One in five of them—that’s 240,000 kids—got it from contaminated water. Where do kids spend most of their time, and drink most of their water? At school. Many of us think that lead poisoning and lead in drinking water or even cloudy water and contmainats in the water are relics from the past. It’s not! Purification at the point of use is critical to preventing contamination. Here, Oasis is the leader. Oasis uses a patented high-performance carbon filter. The Oasis filtration process is tested and certified to NSF/ANSI Standard 53 for lead and cyst reduction, and tested and certified to NSF/ANSI Standard 42 for chlorine taste and odor reduction. On metal surfaces, we offer optional ANTIMICROBIAL COPPER components to fight germs, bacteria, and the spread of illness. 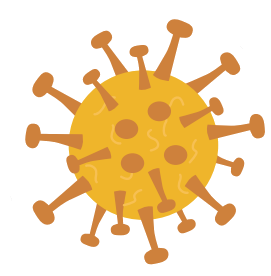 For plastic components, optional FRESHIELD® reduces the growth of microorganisms and mildew, protecting surfaces from discoloration, odors, and degradation. Together, they form a germ-busting dynamic duo to help protect the health and wellness of school childrena nd other users of our products. WE’RE THERE BEFORE AND AFTER THE SALE. Oasis can support PTA fundraising efforts, providing support as well as advocacy materials. We can work with school systems to explore available grants. 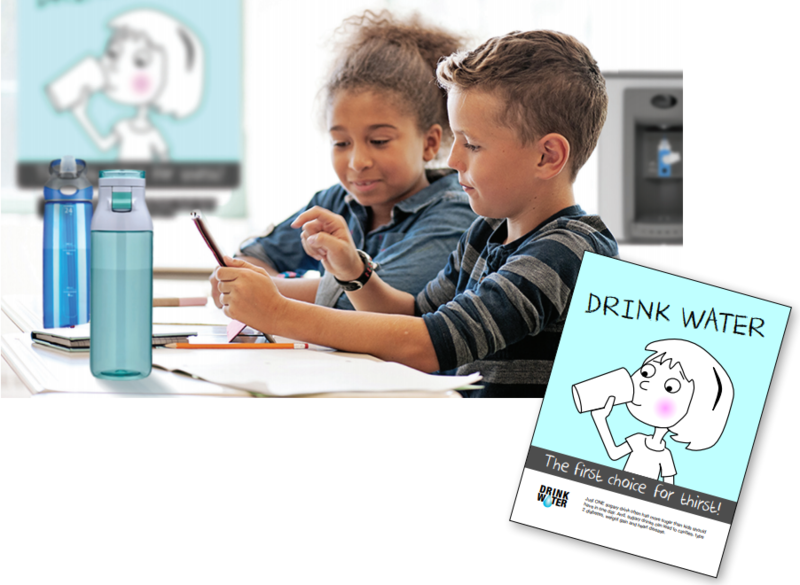 Finally, we can supply customers with branded display items to raise awareness about water purity, encouraging students to choose water over sugary drinks. MAKE YOUR FACILITY GREEN WITH SUSTAINABLE HYDRATION. LEED Certification filtered water on-demand when you choose Oasis bottle fillers.